The Brain Balance Achievement Center of Carmel is dedicated to helping children in the Carmel area meet their social, behavioral, and academic goals. When children are enrolled in The Brain Balance Program, they are first given a personalized assessment. 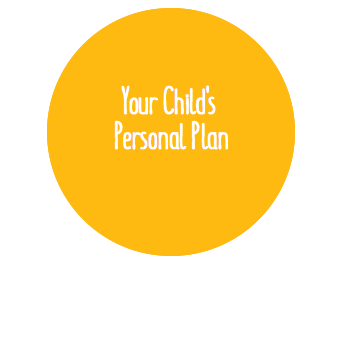 This assessment helps us to identify each child’s unique challenges and develop a personalized plan that will help the child overcome those struggles. While dyslexia is a lifelong learning disability, our program for children with dyslexia can help to enhance reading, spelling, and writing skills.The Brain Balance Achievement Center of Carmel has developed a dyslexia program that can help your child overcome their academic challenges and function better in a classroom environment. When your child is enrolled in The Brain Balance Program, we create an individualized plan for your child that will address their strengths and weaknesses. A child’s plan can include up to 3 in-center visits per week along with activities for your child to complete at-home that will help to activate the brain. The Brain Balance Program has helped thousands of children in Carmel and across the country achieve their goals. Rita L., a Brain Balance parent whose daughter came to Brain Balance because of her struggles with dyslexia, saw improve in her child’s schoolwork after enrollment in our program. Rita said: “My daughter is reading independently. In the time period that we’ve been here, she’s jumped up multiple levels in reading.” Learn how The Brain Balance Program has helped other children overcome their academic, behavioral, and/or social struggles by reading our parent stories. If you’re wondering how to treat dyslexia, the Brain Balance Achievement Center of Carmel can help. We offer programs for dyslexia that will help your child reach their learning goals. Call our center at (317) 843-9200 or sign up online to schedule your child’s personalized assessment.